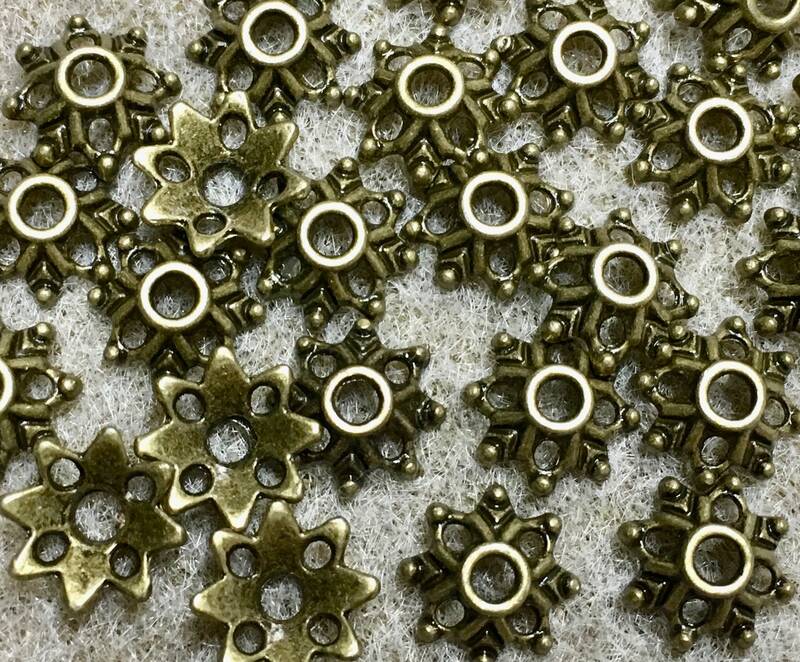 30 Filigree Flower bead caps (8 pointed flower) in antique bronze filigree pattern, 8mm x 3mm. These caps fit up to 14 to 15mm Beads. Add them to your jewelry making projects for a vintage style.